The 911electronic website presents a comprehensive PCB design course. The course presents Altium Tutorial basics and advanced applications of Altium Designer software. The course shows how to make PCB from the beginning to the end, along with the design of the outer casing. The PCB design course from 911electronic meets all the requirements to fully learn the operation and principles of creating PCBs in Altium Designer. Presented PCB Design Course gives you the chance to gain full knowledge about the design of printed circuit boards. The software selected for the course is Altium Designer. We decided on this software due to how often large corporations and companies use this software for PCB design. Thanks to acquiring knowledge in this course, we can be convinced of our knowledge of PCB design, and hence the much-increased chance of working as a designer of printed circuits. We acquired the knowledge transferred in the course thanks to work in positions related to electronics and courses run by external training companies. We decided to give it to 911electronic users because of our passion and hopes that it would help others get their dream job or create their own project. 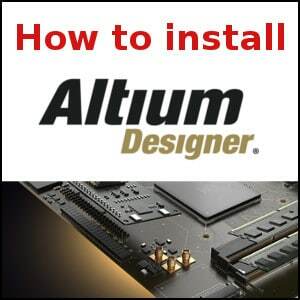 Selected software Altium Designer is a comprehensive and very extensive software for creating PCB designs. Altium software allows you to create electronic diagrams, printed circuit projects including multi-layer projects, housing designs for use in electronics in 3D view. Thanks to a very large database of components, the designer has a very large freedom of choice during the design process. Altium Designer tutorial is designed to show what is useful in practice when creating, designing and developing projects even in terms of EMC and EMI standards. Our PCB tutorial is constantly being developed and expanded with new categories. The categories have been divided into sections and into direct parts of the courses. If as a course user you need to add something new to the course, please write to us via the contact form and we will try to complete our course with the required content. If you want to know how to get the Altium Designer software to use in this course, click the button on the left side.